Prime Minister Binyamin Netanyahu won praise from US special ME negotiator Jason Greenblatt for letting the Qatar-funded fuel trucks go through to the Gaza Strip on Oct 9. That is because its was the first step, DEBKAfile reports, towards implementing the administration’s Israel-Palestinian peace plan, partnered with Israel and Egypt, to eventually separate the Gaza Strip from Judea and Samaria (West Bank) to form two separate Palestinian entities. While Israeli politicians still argue about the pros and cons of the ageing “two-state solution” for the Israeli-Palestinian dispute, after decades of getting nowhere, Washington, Jerusalem, Cairo and Doha are beginning to shape this widely different ” two-state” formula. The fuel trucks are expected to be followed by deliveries of other essentials, as well as cash injections, for the financially-strapped Gaza population. 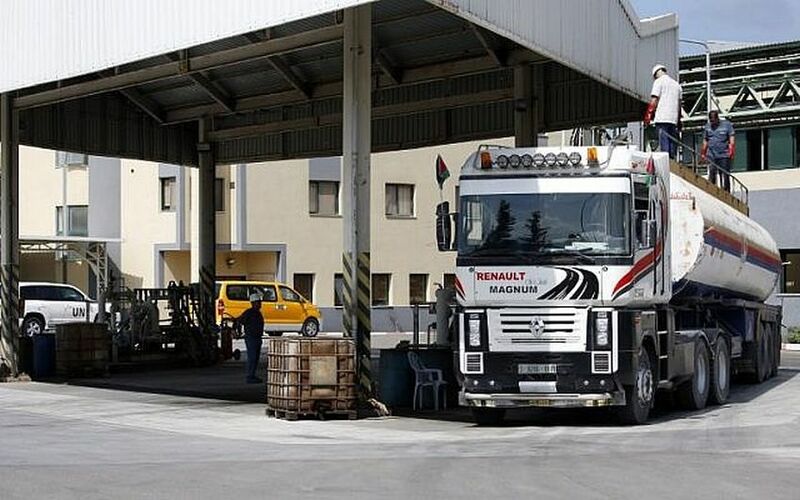 These aid consignments will not be handed to the Hamas-ruled administration but unloaded at UN-controlled facilities for distribution to the people, under the supervision of the world body’s peace negotiator Nickolay Mladenov. As it begins to take shape, this process faces numerous pitfalls. Palestinian Authority Chairman Mahmoud Abbas (Abu Mazen) is burning with rage, but he has not commented on the fuel delivery to Gaza and, still more importantly, neither has the Fatah party which he heads. US, Israeli, Egyptian and Gulf intelligence services have begun to conclude that although he and his close cronies are still capable of stirring up the media against the new plan, his power to follow through is waning. Abu Mazen’s ultimate threat to stop transferring all payments to the Gaza Strip – not just stopping payment of its electricity bills – has met with an Israeli counter-threat to cover the shortfall by diverting to Gaza all the moneys collected for the PA in Ramallah. Although all the parties to the new US peace plan are holding silent until President Donald Trump sets a date for its publication, DEBKAfile’s military and intelligence sources have learned that certain Western and Gulf agents are in contact with elements of the Palestinian Fatah to head off any plans fto respond to the initiative with a new terrorist onslaught in Judea and Samaria or Jeruslem. A complication has also cropped up in the Arabian Gulf. Qatar, which is part of the new US lineup, is also Saudi Arabia’s bitterest adversary after Iran, although both are close allies of Washington. Nevertheless, the US, Egypt and Israel decided to take a chance and leave the Saudis out of their Middle East peace initiative. President Donald Trump’s angry outburst on Oct. 7: “Saudi Arabia and its King would not last two weeks in power without American military support” – is tied in with this complication. It also finds the Crown Prince Muhammed Bin Salman (MbS)’s star dimming at home and the oil kingdom falling into economic decline. In addition to funds, Qatar is an asset by dint of its friendship with Turkey up to and including the granting of military bases to Ankara. The US sees Qatar as the key to bringing Turkey aboard the peace plan, despite its prickly relations with Israel. Trump’s new adviser for Syria, James Jeffrey, has been assigned with restoring good relations between Ankara and Washington, while also mending its diplomatic and security fences with Israel.